Realisation and its down side? Has anyone experienced a negative outcome after meditating on Impermanence? I have been experiencing a palpable dread and sense of futility as a result. I guess the realisation is there, but n0ow it seems to have sapped some of the enjoyment and pleasure I would normally have experienced from the most innocuous of things, like walking in the woods, watching a film or specialising. Re: Realisation and its down side? You should complement meditation on emptiness and impermanence with meditation on compassion - most importantly compassion to yourself. 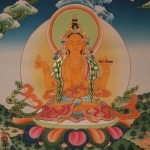 Perhaps to counteract the sense of futility you feel, spending some time on the meditations on the precious human rebirth would help, particularly remembering the sense of joy that you feel when you understand that this human birth you have is precious and you have all that you need to be able to practise the dharma right now. How lucky we are! Who did you receive the practice from? This shows you that what you experience is due to causes and conditions so therefore you will come to observing that what you call "my feeling" or "my experience" has no own being, when this arises, that arises. The sense of futility is not uncomon it shows theres still self-grasping or self-reference. Consider it a blessing now you can observe how joy and its counterpart depend on conditions when you realize/understand on what that feeling depends it will dissolve. Just keep practising and keep a non-dwelling mind and soon enough you'll fall in love with live again. What youre experiencing now is also transient so dont let a lack of joy become another attachment so youll get stuck in a loophole of your own narrative, just keep watching the mind instead of getting entangled in the contents of mind. Like a child is interested in the toy but the mother watches the child not the toy. Your feeling will pass too just watch it come and go and observe how it came into being. Also ask a teacher about this and see what he/she says. Hi, not sure I received 'the practice' from any one person inparticular.....many I guess over the years. This gives rise to two questions: 1. What is the practice. 2. Who is your teacher? You've already been offered some good suggestions, but maybe you can also challenge your current response, at least intellectually, with some positive thoughts about impermanence. For example, when you encounter difficult circumstances you can always rely on them changing. There is also joy in ephemeral things. One of my favourite things is the expansive views of the sky on my drive home from work. The cloud formations are always beautiful, but different. In your walks in the woods you could similarly focus on enjoying the changes that occur through the seasons. Since this is in the geluk section, it is worth keeping in mind that in the lam rim each meditation is one step, not to be taken on its own but to be done in-between the preceding step and the following step in succession . However, I have had many teachers over the years - my main teacher is a Soto Zen priest living here in the UK who received Dharma Transmission from Norman Fischer in the San Francisco zen centre some 15 years ago. I also have a Theravadin monk, who has been practising in the Forest Tradition for over 40 years - its mostly at that monastery i do most of my retreats - usually three week long retreats a year. But also over the years I have had other teachers from the Tibetan tradition, the Ch'an as well as others in what you may call the 'Western Esoteric Tradition' - ALL of who I still have the upmost of respect for.....including their right to anonymity. I won't ask who your teachers are Grigoris as i think its a little rude, sorry. BTW...in case anyone is curious - I am posting this in the Geluk section as despite being a Soto practitioner, most of what I understand as 'Buddhist Psychology' is derived from my understanding of this particular tradition. thanks Bristollad, FCKW, Punnya and Fortyeightvows for taking the time to help. If things are impermanent, there is no rational reason to grasp and cling to them when they make one feels good or reject and push away when they make one feels lousy. The understanding of impermanence should also make one also realizes that one should just simply enjoy good things and tolerate bad things while they last. In short, a proper understanding of impermanence should make one more relax in whatever situation one finds oneself in as a result of one's karma. I like fuki's answer. It goes along with my own experience. Whatever the obstacle is, as soon as I recognize it as legitimate part in the puzzle (not opponent) and as soon as I realize that just another of ego's claddings, it'll vanish by itself. Until then I have confidence that I have all resources and competencies necessary to go through that and allow it to take as long as it needs. Should you however get into a more and more dire straits, please do not hesitate to approach your teacher. I personally made better experience with looking at the futility or whatever arises as is - with all its dynamic, change in tone, coming and going etc - and decidedly not apply any antidote like thinking on precious life, impermanence etc. Turning on the TV or other distraction is just another ego's plays that'll procrastinate, not resolve, the thing. This is probably quite common. 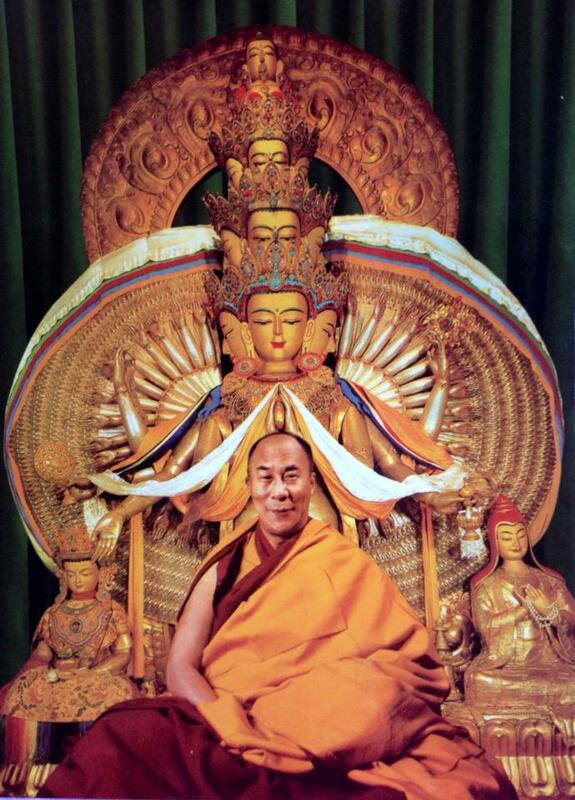 Read up on bodhichitta, the 4 immeasurables, the 4 noble truths and so on so. A sense of futility is often rooted in a nihilistic position that is only concerned with the happiness of this life alone. A kind of 'small-vision'. And as Fuki pointed out, our dissatisfcation is always rooted in some form of self-cherishsing that we are so habituated to. Not attending to things as they really are but seeing and acting through the lense of our own hope, fear, attachment, aversion and ignornance. You cannot prescribe medicine if you have not diagnosed the condition. Wrong medicine can be poisonous and cause as much damage, if not more, than the condition itself. ...my main teacher is a Soto Zen priest living here in the UK who received Dharma Transmission from Norman Fischer in the San Francisco zen centre some 15 years ago. And what is their advice? No, it is not rude. Why would it be rude. BTW: you have not given any details on what exactly you are practicing which is leading to these feelings. "Meditating on impermanence" can mean a million different things. Generally, in Tibetan traditions, when we meditate on impermanence (via the Four Thoughts That Turn the Mind Towards the Dharma) we also mediate on the preciousness of this human existence and the need to utilise it to achieve enlightenment, while we still have it. In fear of the lower realms like hell. To that extent he becomes impotent. To protect the mind from life's pain. And all things last only for the duration of the thought. Who will go to heaven and who to hell? And those who faint away under the power of poison go to hell. The above quote, from a now-public excerpt of the Candamaharosana Tantra, describes perfectly why it's useless to indulge thoughts of fear regarding impermanence -- they're just a trap that keeps you from realizing that the sky is not falling, and you in fact have the most precious opportunity anyone could have. Bear in mind that I'm not berating you for feeling this way... definitely not. It's terrifying. Rather, your best option is to notice it and bring it into your practice. Examine it from every angle, and consult your teachers, until you take the real lesson from it, and remembering it brings inspiration, energy and motivation instead of fear. You can do it, and once you know how brave you actually are, you will. It sounds to me like you’re doing it right. This reaction is supposed to be a major part in the impulse to “Take Refuge”. The Refuge is not subject to impermanence—or even death for that matter. It continues beyond death, therefore it is not trivialized by death, as is all other aspects of life. But impermanence is only one element of the impulse. You’ve got to do “Precious Human Rebirt”, “Sufferings of Samsara”, and “Karma” to have the complete set. Without those you won’t understand what the source of danger is, and so you won’t understand what kind of safety is being offered. So keep going. You’re on the right track.